Teachers are awesome and I personally think that they are under paid, under valued and under appreciated, but that is just my opinion. Even though I feel this way I am studying to be an elementary teacher because I know that being a teacher is not about the money or thank you’s that I will get it is about teaching the upcoming generations and helping the world change and grow. It is about the children. Just because most teachers aren’t looking for gifts outward applause it is nice to show them that they are appreciated since they do A LOT for our children and what better time than Teacher Appreciation week to show that gratitude towards our children’s teachers? To help you in your preparation for Teacher Appreciation week, this year it is the week of May 5-9, I have found 10 DIY teacher appreciation crafts that I will post below because everyone loves something made with love! Tear Edger – totally optional, you can tear by hand! 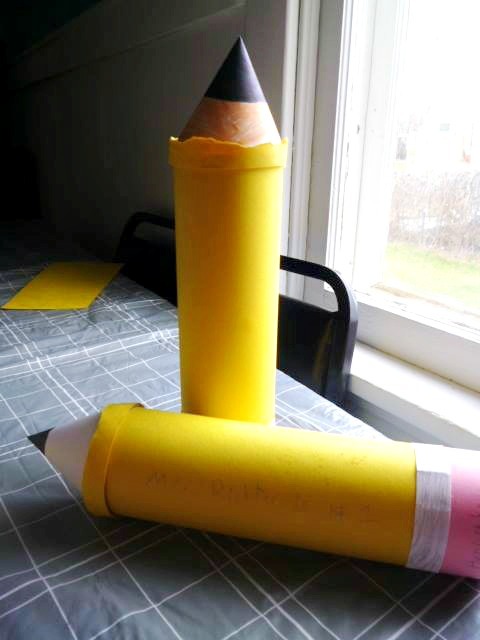 Yellow, pink, gray,tan and black colored paper from your favorite craft store. Thanks for the ideas! I always run out of things to make by the end of the year. I love these ideas. I was a teacher for five years before my first child was born and it was such a delight to be surprised with gifts. I never felt like any child had to give me anything but it was always a nice gesture and greatly appreciated. I’ve started looking for a few ideas for my kids’ teachers and I really love the colored pencil art. Thanks for the great ideas! The Krispy Apple Treats are so cute!!! Love these ideas! I think I’ll be making the Apple Pretzels for my sons Kindergarten teacher! 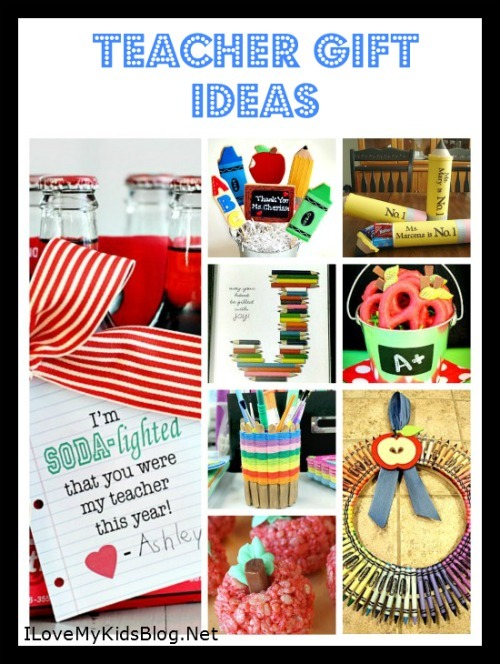 I need to take a look at some of these Craft ideas because I think a homemade craft is a great idea to give to a teacher for their special week. I like the sound of giving a Cookie Bouquet. So many cute ideas. I just love the crayon wreath; adorable. the krispy apple treats are really cute.